Living the Dream: More to Life than Poker!? OK, so none of our players did particularly well in the tournament we went to in St Maarten. None of them survived Day 2 of the three day TKPT Main Event -- not even Elena Stover, hot off her second place ($148,000) finish at the Borgata Million in Atlantic City the week before. But there's more to life than poker, ya? Haha... keep telling yourself that! There may be nothing more important than poker for some, but poker isn't the only reason to compete in an event like TKPT. 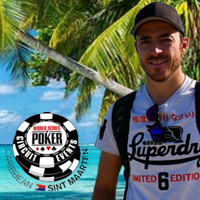 Organizer Thomas Kremser has structured it so that yes, there’s lots of serious poker and some serious prize money to be won. As you'll see in our final video from TKPT St Maarten, there was also lots of fun to be had outside the casino. We were definitely living the dream: ziplining, karaoke and reggae party at Carnival. And enjoying St Maarten’s most bizarre tourist attraction: the airport runway beach! Last year, Akash Mazumba won his way to TKPT in an online satellite tournament at Intertops and went on to win the Main Event. He won again this year taking home nearly 20 grand – and the coveted Pink Tie. This is a fun, well organized event on a beautiful, very friendly tropical island. We’ll be back! But before that, we’re back to Austria this summer for the European Poker Championships. 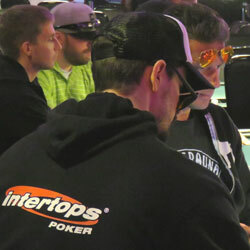 Win an online satellite at Intertops or Juicy Stakes and join us!